The photo which was captured during her sister’s wedding last weekend left many laughing or questing about her exes. Remember, Joey was recently in the news after she confessing she only dates old guys. “As a consumer of older men there is just like stability in that, or reassurance that they know what they need out of life, have learnt the lessons that needed to be learnt. They are even able to share their knowledge. These young guys are only good in pictures,” she said. Which leaves us thinking, was this message directed to her past wazees? It must be. kabinudHa ha you sleep or praying? kuikins@owuor_mac_oduor who be this governor?? benyulekamauHow many are they @joeymuthengi ? 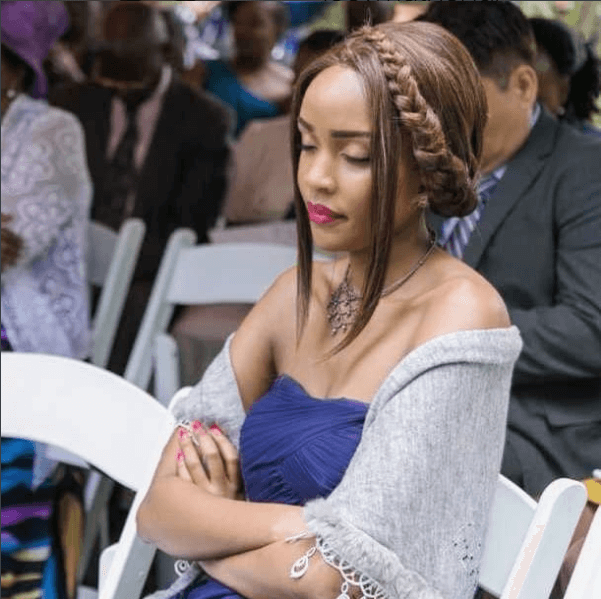 Citizen TV 10 over 10 host Joey Muthengi has left her fans in stitches after posting a photo of her snoozing that was quickly turned into meme. The host then later took to Instagram to join the fun, giving the image a caption that left many laughing. “How I pray for my exes. Jesus loves you regardless.” she posted.